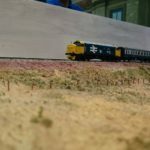 No, this isn’t about a StarTrek themed model railway – how cool would that be! – but a quick tip on how to stop views into a different time and space from spooling your layout. 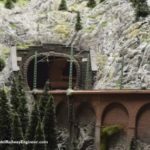 If you have a tunnel portal through which your trains pass on their way to and from an off-stage fiddle yard you’ll know the problem. Light from the rear beaming through the portal or the fiddle yard being visible through the tunnel. One moment you are looking at a carefully constructed scene of railway life from the past, the next your eyes alight on a gap in the fabric of your tiny world revealing the real larger world beyond. 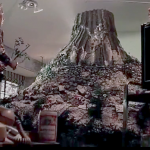 The wonderful micro illusion you’ve created comes crashing down. In sum circumstances, you can cloak the portal from view or have a long tunnel with decorated walls hiding the actual exit and offstage area. But sometimes you’restuck with an exposed tunnel portal that just leads offset. 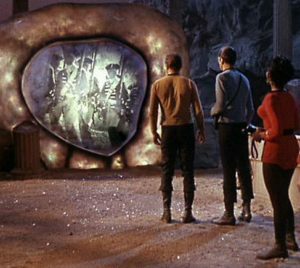 It’s like peeking through a doorway and seeing a whole different world or time, as Kirk and team faced in the classic City on the Edge of Forever Star Trek episode. 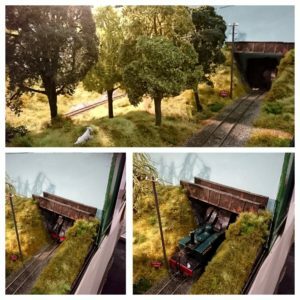 How can you hide the world behind the backscene from viewers of the miniature world of your layout? While visiting the Warley model railway show, I saw took some pictures of one practical solution. 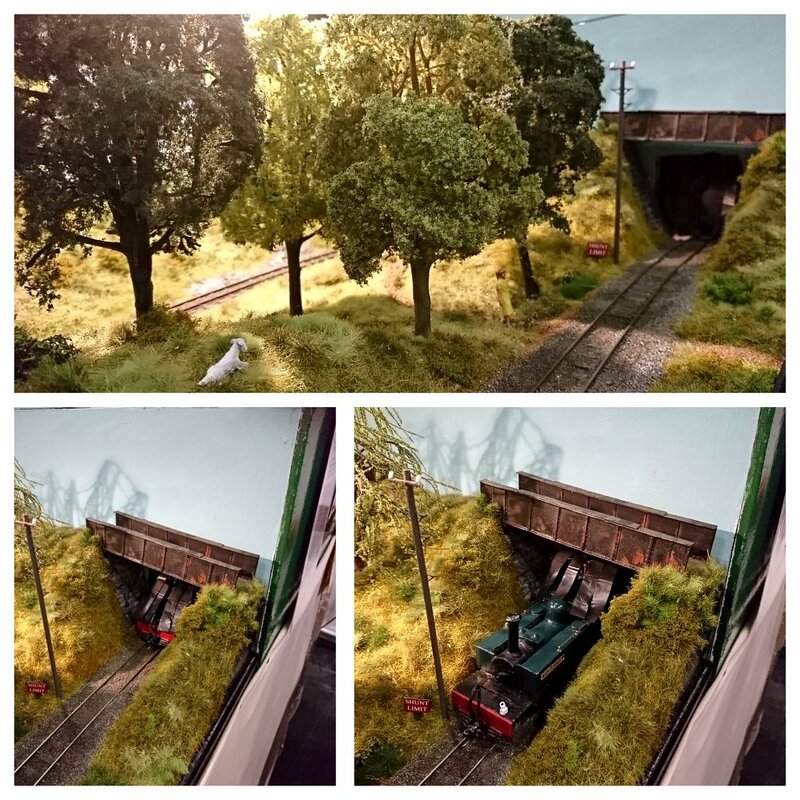 It’s on the Longnor layout by Hugh Williams, seen below. Huge has hung flexible flaps just inside the entrance of the tunnel. These hide what’s going on in the background but by being flexible allow rolling stock to pass through easily, the flaps just lifting up. The collage shown of the portal on Longnor shows it in place and an engine passing through to illustrate how it works. It’s a simple, elegant solution, and easy to implement. Rubber or paper strips, painted a dark colour, are attached to the tunnel ceiling. Weighting them down slightly at the bottom will keep them in place. As an added extra tip, you could also attach brush hairs to the flaps. Doing so adds nothing to the operation of the flaps or visual benefit but it will give your rolling stock a dust off and keep them clean. Strategically placing trees and bushes also helps, but this flap idea is great. Ensure that the material is flexible and light enough to not hold the train and wagons back or off the track. Also that it will not snag on fixtures such as stacks, whistles, goods etc. I’ve not done this construction, but black bin liner – thin, cheap version – springs to mind as a first attempt. That has potential, I was also thinking of some kind of cloth.